The AQUA SOLUTIONS' Model 2635S1-1/2 is also available in a Dual module version: Model 2536S2-1-2. Ultimately, dual-module systems cost less to operate. This model is also available for high flow, high capacity applications such as glassware washing: Model 2635S2-DW. 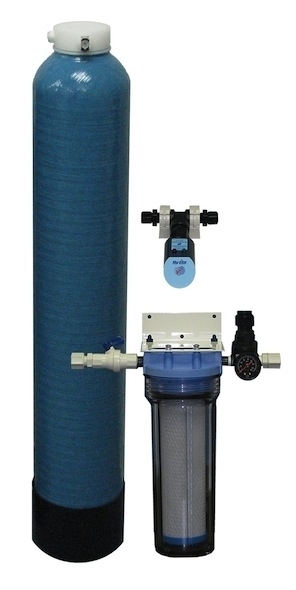 This single tank 12-LPM Type II/III DI System is designed for applications that require up 80-Liters of Type II/III DI water/day, when fed tap water containing up to 170 PPM of total dissolved solids.